Exams can be horrendous. The mental pressure of revising can lead to physical symptoms like nausea, headaches and anxiety, and to the emotions of worry, fear and doubts. BodyTalk is an effective, natural and safe support that helps children and adults to cope. The brain feels calmer, clearer and more focussed so that it can help deal with the nerves and emotions. Carole teaches her clients the Cortices Technique for relaxing and to improve mental clarity. It only takes a minute to do, and can be done many times during the day to reduce overall stress. Often the student feels exhausted before the exams actually start. BodyTalk can help to support and rebalance someone so that they are better prepared. Others have had bad experiences with exams and start to believe that they will fail. 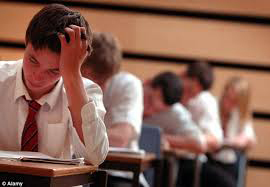 Some students who have a learning difficulty such as ADD or dyslexia have extra pressure. Others may find it difficult to sit still or have lost their confidence. BodyTalk can help them release their negative beliefs and help them to deal with their work. Many students are not only working and revising for their A Levels, but have the mental and emotional pressures about their results for their forthcoming University applications. 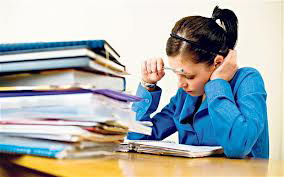 These worries often lead to a feeling of overwhelm so they find it impossible to focus and concentrate. Symptoms such as anxiety, poor concentration, sleep problems, depression, brain fog, and procrastination can be addre ssed. BodyTalk sessions are likely to help students build confidence, increase their ability to study effectively and get better results. Whether you need to prepare for examinations, interviews, presentations, a driving test or sporting events, BodyTalk can help.